A new nonprofit entity would work to raise funds for a proposed dog-friendly area at Austin-Foster Playlot Park, 6020 W. Foster Ave.
"This is probably a multi-year project," said Foster/Austin Dog Park acting president Robert Simpson. "The park district will not be funding any of it because they don’t want to take on the responsibility of maintaining it." 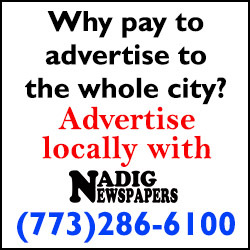 About $100,000 of the 45th Ward’s discretionary budget is being allocated toward the project, which is estimated to cost between $180,000 and $250,000. The dog park was one of the winning infrastructure projects in Alderman John Arena’s participatory budgeting process after a community vote. Simpson said that those interested in serving on the board of the dog park are asked to submit their name on the "Austin/Foster Dog Park" Facebook page by Feb. 1. The available positions are president, vice president, secretary, treasurer, director of advertising, director of planning and director of fundraising. An election will be held at 6:30pm Monday, February 11 at Fannies Cafe on Montrose Ave., and a community meeting on the project is scheduled for Wednesday, March 20. The community meeting will be held as part of the regular meeting of the Gladstone Park Advisory Council. The council meets at 6:30 p.m. the third Wednesday of each month at the park fieldhouse, 5421 N. Menard Ave. While the design of the dog park is still being formulated, the project is not intended to interfere with the existing baseball diamonds and the playground, Simpson said. The dog park may be divided into separate areas for big and small dogs, or there could be separate hours for different size dogs. 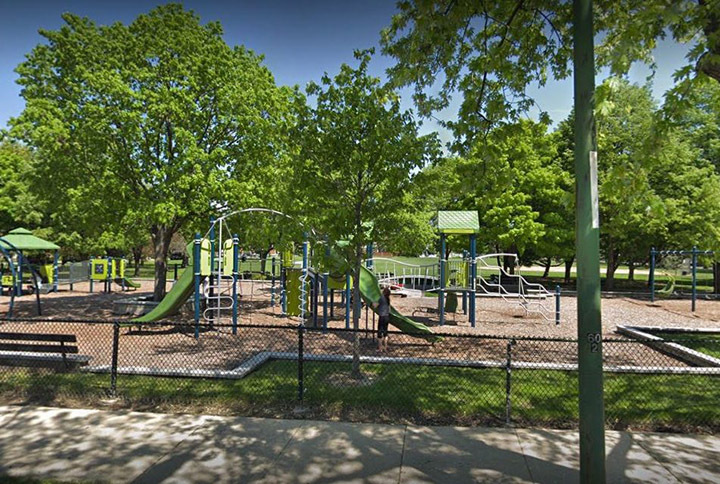 The closest existing dog parks to Austin-Foster are located at Portage Park, 4100 N. Long Ave., and Norwood Park, 5801 N. Natoma Ave. Meanwhile, Simpson reported that the Gladstone Park council is exploring the possibility of a gym being constructed at Gladstone Park due to the small size of the fieldhouse. The council is hoping that handicapped accessibility improvements could be made to the fieldhouse as part of a larger gym project, said Simpson, who is also the council’s president. Simpson also reported that the council is looking at sponsoring a dog-friendly event at Gladstone Park and that plans are moving forward for the installation of a butterfly garden. The council is sponsoring a "Kids Night Out" event from 6 p.m. to 8:30 p.m. Thursday, Feb. 14, at the park and recently created a book club. For more information, visit www.gladstonepac.org.